The Yé-yé team was the name given to the generation of all-Spanish Real Madrid players that dominated Spanish football in the 1960s. The team was captained by the veteran player Francisco Gento who won the European Cup 5 times with Alfredo Di Stefano in the 1950s. He would lead a group of younger players that included José Araquistáin, Pachín, Pedro de Felipe, Manuel Sanchís, Pirri, Ignacio Zoco, Fernando Serena, Amancio Amaro, Ramón Grosso and Manuel Velázquez. 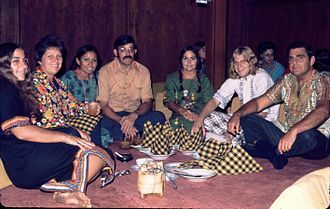 This group of younger players sometimes were considered to be hippies because they wore longer hair than the previous generation. 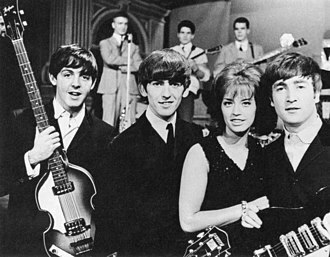 The name "Yé-yé" came from the "Yeah, yeah, yeah" chorus in The Beatles' song "She Loves You" after four members of the team posed for Marca impersonating the Beatles. 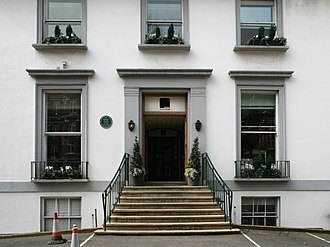 "Yé-yé" was also how youngsters were called in Spain in the sixties when Beatlemania was catching on around the world, as well as a musical style popular in Spain in that decade. The transformation of the team began in 1959 when Miguel Muñoz became the coach of Real Madrid. As a player, he captained Real Madrid as they won the European Cup in 1956 and 1957. The team he played with was built with the best foreign talents Real Madrid could buy. The team he built as the coach of Real Madrid was composed of Spanish players entirely. They dominated La Liga, winning the competition 9 times. This included a five in a row sequence. They won the European Cup in 1966 at Brussels' Heysel Stadium by coming from behind to beat Partizan Belgrade 2-1. The King Baudouin Stadium is a sports ground in north-west Brussels, Belgium. It was inaugurated on 23 August 1930, crown Prince Leopold attended the opening ceremony. Located in the Heysel section of the Brussels municipality, it was built to embellish the Heysel plateau in view of the 1935 Brussels International Exposition, the stadium hosted 70,000 at the time. A wooden track for cycling races was added around the pitch, the original name was Jubilee Stadium because it was inaugurated days after Belgiums 100th anniversary, with an unofficial Belgium-Netherlands football match. In 1946 the stadium was renamed Heysel Stadium and it hosted European Cup finals in 1958,1966,1974, and 1985 and Cup Winners Cup finals in 1964,1976 and 1980. The highest attendance at a European game was over 66,000 in 1958, despite its status as Belgiums national stadium, Heysel was not well maintained. 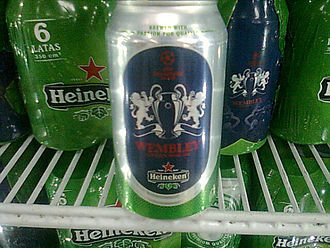 By the time of the 1985 European Cup Final, it was in a poor state. For example, the wall had been made of cinder block. Following the disaster, the ground was used for athletics. All that remains of the old stadium is a gateway near the main entrance. The new structure combined the football ground with a running track and it was re-opened on 23 August 1995 as the home of the Belgium national football team and is the largest stadium in Belgium, it can seat 50,093 spectators. The remodeled stadium hosted the 1996 European Cup Winners Cup final, the next match of the national team was thus held at the Constant Vanden Stock Stadium. 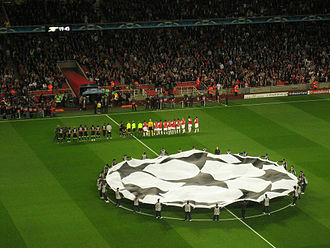 The city of Brussels complained that contrary to claims the stadium was safe. On 6 October 2006, the Belgian Football Association met with representatives of the city of Brussels and they agreed to renew the contract, since 15 November 2006, the Belgian national football team has used the King Baudouin Stadium. On 25 August 2007, Belgium played Argentina in rugby union as part of Argentinas 2007 Rugby World Cup preparations, the stadium had another shot at hosting a Heineken Cup match in 2012. Amancio Amaro Varela, commonly known simply as Amancio, is a former Spanish football player. Nicknamed El Brujo he played outside right for Deportivo de La Coruña, Real Madrid, Amancio Amaro began his career aged 15 at local side, Victoria Club de Futbol, in the district of Santa Lucia. 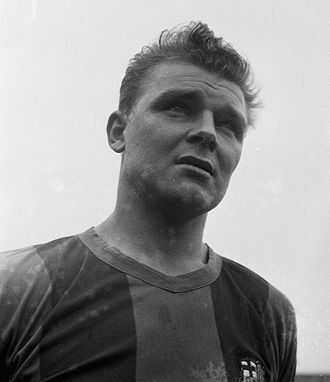 In the 1958–59 season he joined Deportivo de La Coruña, which at time was in the Spanish second division. When Deportivo were promoted to first division, Amancio started to call the attention of the scouts for major teams, along with the signing of Amancio by Real Madrid in June 1962, players such as Ignacio Zoco, Lucien Muller, and Yanko Daucik arrived. During this time the team was in a phase, since in earlier years the team had swept the competition both in Spain and outside its borders. Amancio made his debut in European competition opposite Anderlecht, and in the league against Real Betis in Seville with a 5–2 win for Real Madrid. During the 1963–64 season and Real Madrid reached the final of the European Cup, the following season brought more heartache, with Benfica eliminating the youthful Madrid side in the quarterfinals. The ensuing season brought success for Madrid, as Miguel Muñoz added young players such as Pirri, Velázquez, Sanchís and this was known as the Yé-Yé team. Strong at the back, and devastating going forward, Madrid fought their way to another final, the venue was Heysel Stadium in Brussels, and on 11 May 1966, Amancio stepped out on to the pitch for his second and last European Cup final. FK Partizans Velibor Vasović scored the first goal of the match, Amancio drew level twenty minutes from the end, after collecting a signature pass, faking out a defender and skillfully booting the ball past the Yugoslav keeper Milutin Šoškić. Five minutes later, a shot by teammate Serena from 30 metres out settled the game. It was Amancios first and only European Cup winners medal, in his first 6 seasons in Madrid, he won a breathtaking 6 La Liga titles. He would go on to win another 3, giving him 9 titles in total and he even took the title of Pichichi on back to back occasions,1969 and 1970. As a Real Madrid player, Amancios reputation reached such international fame, Amancio retired in 1976 and joined the coaching staff of Real Madrid. José Martínez Sánchez, nicknamed Pirri, is a retired Spanish footballer. Pirri is regarded as one of the greatest Spanish footballers to have ever lived and he played as a centre midfielder for Real Madrid and Spain until he was 28 years old, before moving to play as a sweeper. He served as captain of Real Madrid from 1976 to 1980, Pirri is married to Spanish former actress Sonia Bruno. Pirri was well known for skills and ferocity. However his best asset was his stamina, allowing him contribute regularly to both the attack and defense without relenting, Pirri was a very good passer and scored a remarkable amount goals for a defensive player. He played for Real Madrid for 15 years, between 1964 and 1979, winning ten Spanish league titles, four Spanish cups, and the 1966 European Champion Clubs Cup and he was part of the Real Madrid team that was known as the Yé-Yé team. In 1980, Pirri signed for Mexican Primera Division side Puebla and he scored his first goal for the club in a league match against Atletas Campesinos on 28 September 1980. Di Stéfano with La Maquina in 1947. 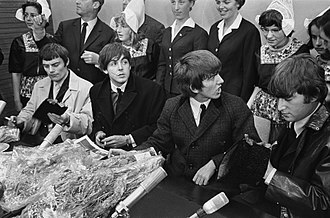 Bruce Morrow (with microphone) interviewing Lennon about his "more popular than Jesus" remark. 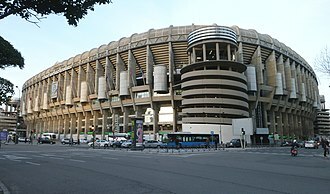 Santiago Bernabéu. 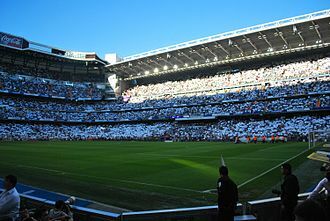 The home fans are displaying the white of Real Madrid before El Clásico. Spanish flags are also a common sight at Real Madrid games. Camp Nou. 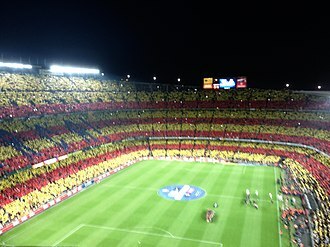 The home fans of FC Barcelona are creating a mosaic of the Catalan flag before El Clasico. The top right corner of the club’s crest also features a Catalan flag. 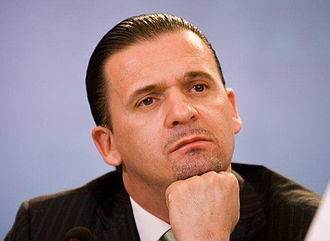 Luís Figo's transfer from Barcelona to Real Madrid in 2000 resulted in a hate campaign by some of his former club's fans. In 2005, Ronaldinho became the second Barcelona player, after Diego Maradona in 1983, to receive a standing ovation from Real Madrid fans at the Santiago Bernabéu. During the 2014 UEFA Champions League Final between Atlético and Real, the City Council of Madrid building was decorated in banners of both clubs. The New York Cosmos featured Brazilian footballers, Pelé and Carlos Alberto. €108 million was spent by Real Madrid to sign Ronaldo and Luís Figo (2014 image) in the early 2000s. Kaká (left) and Cristiano Ronaldo (right) are two galácticos. The Real Madrid team of 1902, the year of its foundation. Real Madrid's players celebrate their 2008 Supercopa de España win. Françoise Hardy (left) meeting Princess Margriet of the Netherlands at the Grand Gala du Disque of 1963. 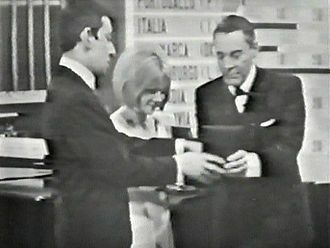 Serge Gainsbourg, France Gall and Mario del Monaco at the Eurovision Song Contest 1965, where "Poupée de cire, poupée de son" took the award. Raúl, Former European competitions record goalscorer, Former Real Madrid record goalscorer, and Third all-Time La Liga goalscorer, is also a La Fábrica alumnus.